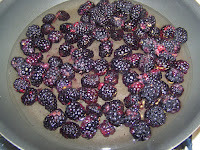 I was recently walking through the produce department of my local grocery store when I saw blackberries for 79 cents a pint. I grabbed up about 6 pints worth and knew that a blackberry maple syrup was definitely going to be a part of our breakfast this week. The syrup is very simple to make, it only requires some patience with simmering it on the stove. Now don't simmer it on high... it will boil over if you aren't watching it. Yes.. I did make a bit of a mess .... but the mess was worth it when I enjoyed this syrup. Next time I'll simmer on low for a mess free version. Ha! ha! This fruity maple syrup was perfect with our pancakes and I know they will be great with waffles as well. 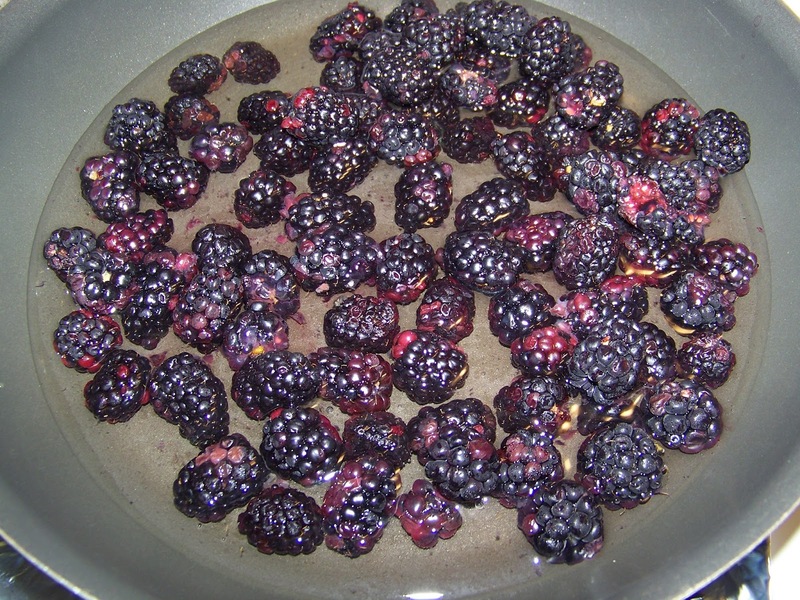 Wash blackberries and place on stove with water. 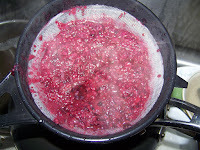 Boil for 5-8 minutes on high heat until berries burst and mash easily. Mash with a potato masher or emulsifier. Then strain with a fine mesh strainer until all liquid goes through and only pulp is left. 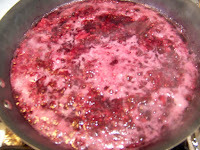 In another pan add the blackberry puree, sugar and maple syrup. Simmer on medium low heat for 20 minutes. Then add the slurry mixture of cornstarch and water. Simmer for another 5 minutes. 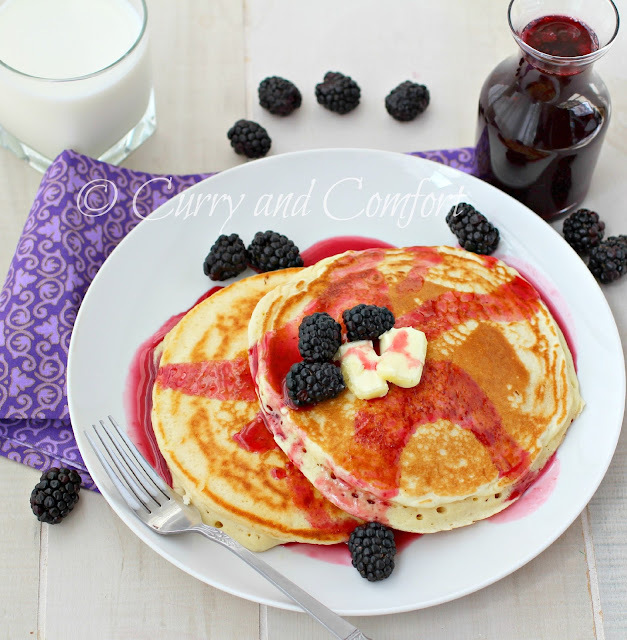 Allow syrup to cool down to warm before serving. I cannot even tell you how much I love pancakes! Like love them. Could eat them all the time. YUM! 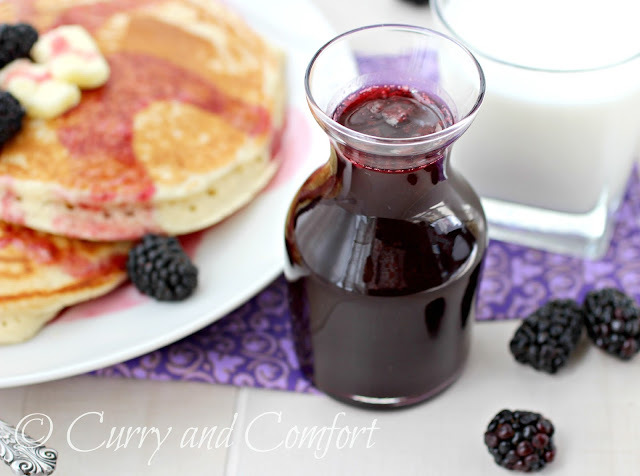 Nothing like fresh, homemade, blackberry sauce! Love the use of maple in this one! 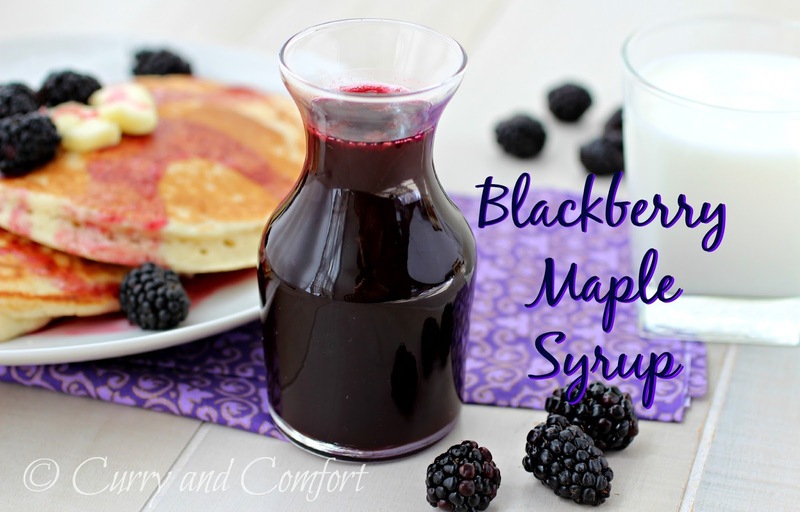 I love blackberries and I know I will love this syrup and .79 is quite a bargain! 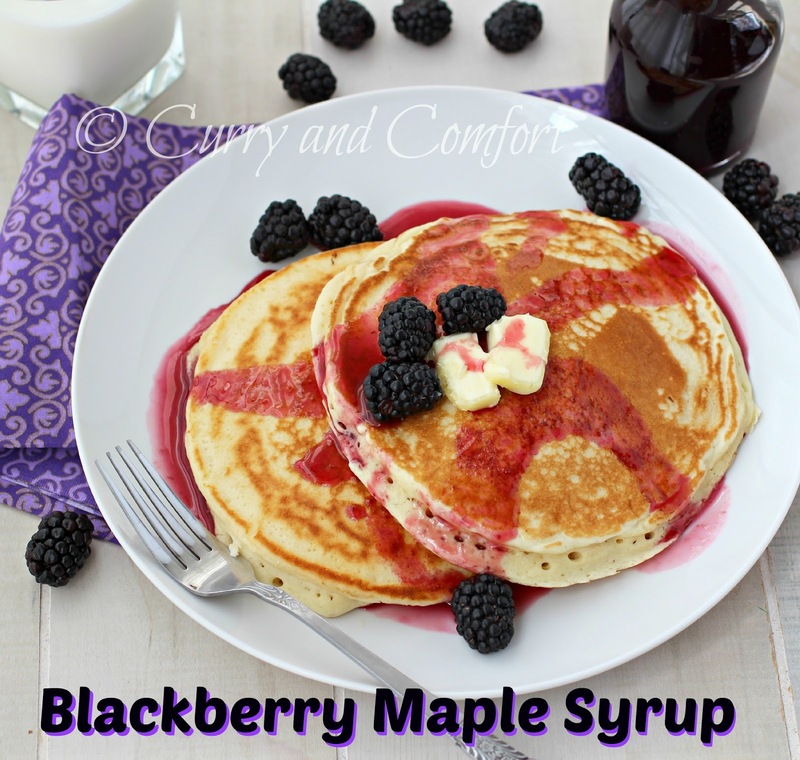 I've made blueberry maple syrup, but blackberry sounds even better!